On September 1, 2016, the moon will pass in front of the sun, creating a brilliant ring of sunlight visible from Nsukka. When the moon creates a ring of sunlight during an eclipse instead of completely blocking the solar disk, it's known as an annular eclipse. 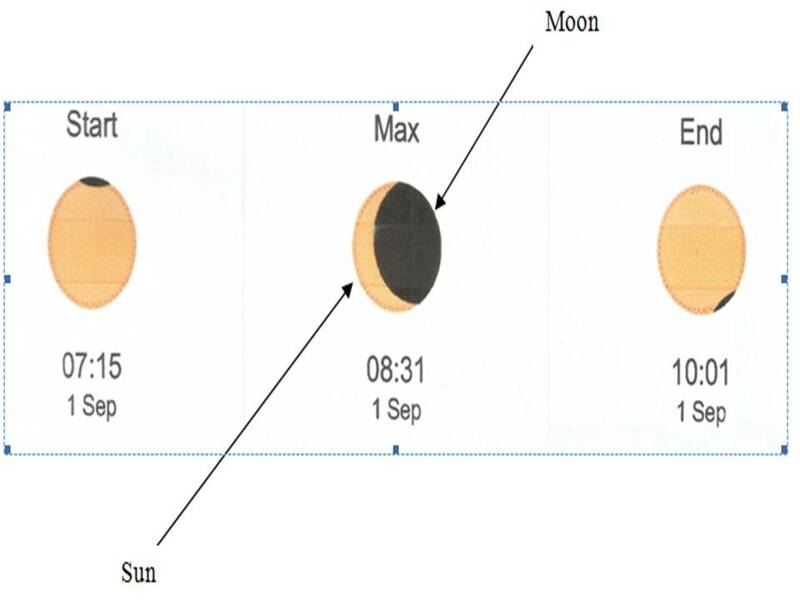 And although the September 1 event won't be a total eclipse of the sun (from south eastern part of the country), it will still be a stunning sight of partial solar eclipse. For those interested in watching this eclipse event, the Astronomy and Astrophysics Research Group of this University is making special viewing glasses (eclipse glass) available at the Christ Church Chapel field, UNN, starting by 7.30am (Please, never look directly at the sun with your unprotected eyes!). 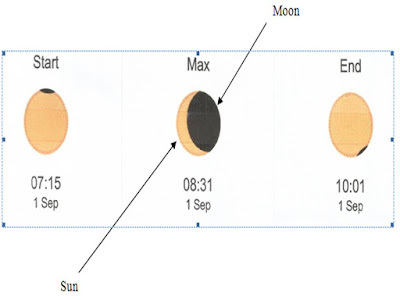 Viewers will be able to see the moon cross paths with the sun on Sept. 1 (Thursday) between 8 – 9 a.m.
For further information or enquiries, please call any of the following numbers: 08037734303, 08039555777, 08050764262 and 08034376366. Leader, Astronomy and Astrophysics Research Group, UNN.